Amassing and maintaining any level of financial security requires planning and sacrifice to ensure that any decisions made do not unnecessarily expose assets to outside risk. People often think that asset protection strategies are only useful to the very wealthy, but anyone with property of value would benefit from review and advice from an attorney experienced with asset protection. This evaluation by legal counsel is especially important for those with business and personal assets to protect. Small businesses make up the bulk of the American economy, but small operators may assume they do not have enough capital or sustained profitability to worry about more advanced long-term planning. Protecting one’s assets is key to providing for a comfortable life as one grows older, and as a legacy to one’s heirs after death. Further, the differing approaches that should be applied to business and personal assets means that even if personal wealth is secure against outside claims, business property should receive different protections to maximize the opportunities for protection and growth. An overview of the risks individuals face without asset protection planning, and some options for both business and personal assets, will follow below. Ask anyone what their greatest financial concern is, and most will respond that losing all their money to a creditor or bad investment is the biggest fear. Unfortunately, anyone that owns an asset holding any value is open to this risk every day. A disgruntled neighbor, a car accident, or large medical bills could all result in a court judgment that results in a forced sale of assets to pay the amount owed. This scenario can gut a person’s wealth, and business owners are particularly susceptible to lawsuits and other creditor claims because they have the added dimension of regular contact with customers, suppliers, clients, and other partners that present additional risk for dispute. Further, the uncertainty of a jury verdict can push many owners facing lawsuits to liquidate assets, including personal property, to settle the case, creating long-term, and perhaps irreparable, financial repercussions. To avoid losing everything to a lawsuit or other creditor claim, asset protection measures should always be considered and used when possible. And for those in retirement, asset protection is an important issue to consider in the event that nursing home care ever becomes necessary, in order to be able to be eligible for some assistance through Medicaid. 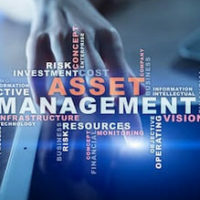 The goal of asset protection is to make as many assets as possible completely unavailable to creditors, and, to keep available assets in such small magnitudes that creditors will be motivated to settle early and for less money. A good deal of protection can be obtained by the use of proper titling and beneficiary arrangements. If more sophisticated measures are needed, protective trusts and dynasty trusts can hold assets for the benefit of children, grandchildren, and beyond, and while assets are held in the trust those assets are protected from the creditors of the beneficiaries, who cannot make any claim to the assets in the trust to recover a beneficiary’s debt. In addition, an irrevocable trust can serve the same purpose for the Grantor’s own assets, and can be used to protect both business and personal assets from creditors. An irrevocable trust can also be useful as a vehicle to create non-marital assets that would not be subject to division in divorce. Protecting your business and personal wealth from the claims of a customer, contractor, or other potential creditor should be a big priority. You should not continue to hold this much risk, and William Rambaum can help you put up the firewalls needed to block creditor claims. Contact the Oldsmar law firm today to schedule an appointment and learn how strategic planning can help you remain secure in your success.